Glenda Cox, Nokuthula Vilakazi and Cheryl Hodgkinson-Williams at the CILT offices at the University of Cape Town. Last week, Nokuthula Vilakazi from the Institute of Distance Education, University of Swaziland visited the Centre for Innovation in Teaching and Learning at the University of Cape Town as part of a series of meetings with her PhD supervisors Cheryl Hodgkinson-Williams and Glenda Cox. Sukaina Walji, ROER4D Communications Advisor, sat down with her to discuss her journey and, in particular, her insights on OER adoption at her institution in Swaziland. Engagement with OER at the Institute of Distance Education, University of Swaziland (Uniswa-IDE) over the past decade shows pockets of OER adoption, mainly as part of activities to create learning materials. Nokuthula Vilakazi, the Instructional Design Coordinator based at Uniswa-IDE, has a fascinating personal journey and story to share about her engagement with OER. On completing a Master’s degree at the University of Sussex in 2005 and returning to the University of Swaziland, part of her work involved developing working relationships with staff at the Open University-UK and the Commonwealth of Learning (COL). It was through this that she was introduced to OER initiatives. One of the key interventions for formal OER engagement she learned about was the launch of The Virtual University for Small States of the Commonwealth (VUSSC) in the early 2000s. Supported by COL, VUSCC is a network of small countries committed to the collaborative development of free content resources for use in educational contexts. When Swaziland became a member of VUSCC, Nokuthula was one of the representatives the University of Swaziland sent to various OER development retreats on behalf of VUSSC. These retreats were intended to collaboratively develop OER in areas such as tourism and small business development. Nokuthula remembered that the collaborative process of developing OER often led to more questions and reflections about the content authoring process. Many of the participants had experience of creating materials in distance learning contexts but found the process of engaging with OER creation practices new. They had to consider sharing and repurposing, for instance, and collaboration required negotiation and consideration of varied cultural practices. 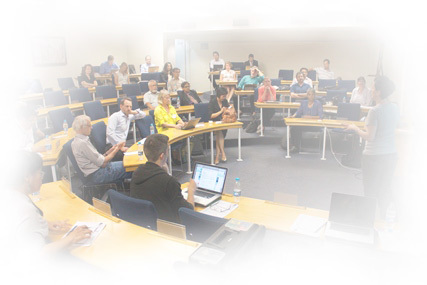 Attendance at VUSCC workshops and events, such as the Pan-Commonwealth Forum in 2006, sparked reflections about OER and led to some growing interest about how OER might be adopted at the University of Swaziland. One particular project was borne out of thinking about sustainability and how the University of Swaziland might grow and fund OER initiatives without the support of organisations such as COL. An initiative to train tour guides using OER materials materialised when the team at the university, including Nokuthula, approached Swaziland Tourism with a proposal to customise training for tour guides based on already developed OER and for which the authority paid for facilitators and printing. While this was not the ‘core business’ of the university, it enabled engagement, sustainability and community outreach while it represented a new opportunity for upskilling for the tourism industry. The initiative received positive feedback, while print OER materials were made available for the participants. Relatively small scale OER projects continue at the University of Swaziland with projects for collaboration of OER workshops assisting not only with OER creation but also with capacity building. Resources on the subjects of HIV prevention and life skills have been created from adopting OER. Interestingly, however, Nokuthula remarked that some of these new resources were not released as OER but were copyrighted, largely because the institution’s default approach for creating learning materials is to apply copyright terms. However, the University of Swaziland is currently drafting an OER policy and has developed a strategic plan spanning 2016-2021 that foregrounds OER. The small team of OER advocates at the university want to try and establish in that policy a rule that creating new materials using OER should result in further OER because, unless the project has an explicit OER creation mandate, course materials developers tend to apply copyright to all resources that they develop, even if they are based on OER. The advocates need to justify for opening their work, but according to Nokuthula this is easier now than before as there is increasing understanding about the benefits of OER. Indeed a session on using OER for course materials development is now routinely included in staff capacity development programmes, while COL has conducted additional OER training workshops during 2015 and 2016. Looking ahead, a number of challenges face the University of Swaziland as it engages with OER . While the OER policy, when it is finally enacted, may create a more enabling environment, the university is also under financial pressure to monetize its content, and thus conversations are less around free access but affordable access to learning materials and educational provision. 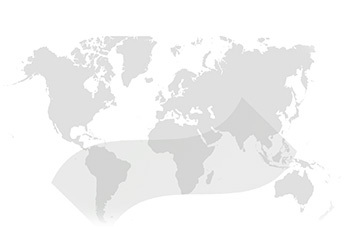 Other issues concern the challenge of access to reliable internet connections making print based materials an important part of the learning materials ecosystem for the near future with hybrid and sometimes innovative models of using digital elements in print. For example, lecturers developing course materials in print form embed links to digital materials using QR codes. Students who are in wifi areas can then access the digital materials and download them for later use, ringing together print and mobile as an innovative solution for lecturers and students. The nature of OER adoption at the University of Swaziland is pragmatic and needs based, melding the opportunity of available OER to create new lower cost learning materials which may or may not be legally closed depending on the underlying business models. For Nokuthula, while these may appear to be contradictions, they are also the result of deliberations based on real world considerations of what serves students as well as enabling some models of OER sustainability.